They're snowy and cold, and my family loves them! Unlike the East Coast, the cold is crisp — not bone-chilling with heavy humidity. We take snowshoe hikes, and then gather round the warm fire to enjoy my wood stove cooking. There's nothing that says home more than a warm house filled with the sumptuous scents of good cooking and fresh bread! When I think of comfort foods, I think of steaming bread, slathered with homemade butter and fresh honey, jelly, or ham. I love using my wood stove for our meals, breads, and baked goods. We're very frugal here in the wilderness, so when I can utilize a free resource, it seems only right. 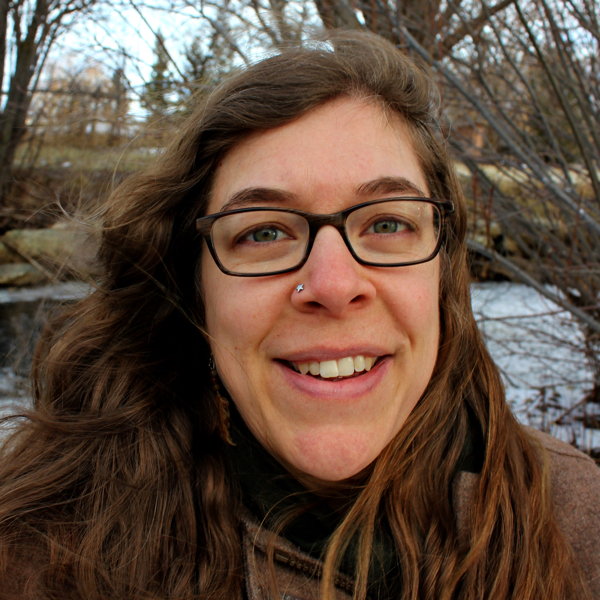 Cooking On A Wood Stove: It's Easy! Even if you aren't used to it, it isn't hard at all! And it provides tastier meals than you can imagine. The important thing is to check it regularly to make sure there's still broth in the Dutch oven. The broth or natural juices created by the roast also make a wonderful soup base for later in the week. I also often poke holes in a few potatoes, place them in my Dutch oven with an inch or so of water, and put it on my wood stove. Yummy baked potatoes for dinner! A wood stove can also double as a slow cooker. Sometimes you may need to elevate your Dutch oven to protect its contents from getting too hot — or to allow its contents to cook evenly (such as bread). Simply place jar rings from your canning jars underneath, or a cast iron trivet, or an old iron stand. Below are 2 recipes for boule — a traditional shape of French bread resembling a squashed ball. It's a rustic loaf that can be made with any flour. Leaven it with yeast, or even wild yeast sourdough. The no-knead sourdough aka “bucket dough” in the Sourdough eCourse or eBook would be perfect for this boule! Note: If making sourdough bread, simply do the first rise in a big mixing bowl in the same room as the wood stove (but not too close to it — you don't want your bread baking). When your first rise is over, preheat your Dutch oven or clay baker as described below and proceed with baking a boule loaf. Mix all ingredients together well. Allow to rise for 2 hours and then refrigerate. Preheat Dutch oven and lid. Place dough in the Dutch oven and allow to rise for 15 minutes, uncovered. Bake for roughly 50 minutes, covered, once your thermometer reaches 350 degrees Fahrenheit. If baking in an oven, this bread can be baked at 450 degrees Fahrenheit for 15 minutes covered followed by 15 minutes uncovered, for a total of 30 minutes. Mix all ingredients together well. Gluten-free breads need to be beaten very hard and mixed well. Allow to rise for 2 hours and then refrigerate. Preheat Dutch oven and lid. Place dough in the Dutch oven and allow to rise for 15 minutes, uncovered. Bake for roughly 50 minutes, covered, once your thermometer reaches 350 degrees Fahrenheit. Because of the excess moisture in this gluten-free recipe, it may actually take longer to bake. If baking in an oven, bake this bread at 450 degrees Fahrenheit for 15 minutes covered followed by 15 minutes uncovered, for a total of 30 minutes. Do you cook on a wood stove? 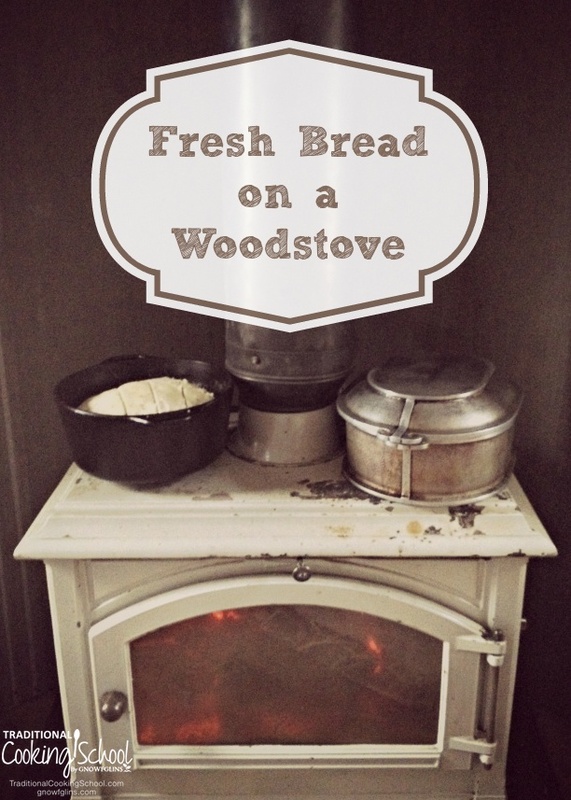 Have you ever made fresh bread on a wood stove? This is so neat! I had no idea I could do this. Yes – you can absolutely make breads, rolls, muffins, etc… To be honest – I am always in such a hurry to keep up with my chores I never refrigerate it. It rises beautifully and bakes just the same. Good luck and enjoy…. Thanks for joining me today and look forward to getting to know you…. Absolutely Jenny!! It is so wonderful to save money and get that wonderful aroma floating through your home at the same time!! You will LOVE cooking on your wood stove when you get yours!! Tammy do you have any recommendations as to what kind of stove and where it should be located? We have a conventional gas range in the kitchen and were looking to purchase a stove to use in the event of an emergency. I was thinking of putting it against the wall in our “keeping room” adjacent to the kitchen. We have a cement floor ~ will that suffice, or will we need to make other arrangements? One other question: is the oven smokey and does it create a lot of dust during the winter? Your concrete floor will be fine. You will not want to place it directly against the wall. When you purchase your stove they will have instructions on how far from the wall they recommend and for the piping. My husband usually has the stove 16 inches from the wall and as a precaution we use the fire board. Our wood stove doesn’t have an oven, but when opening the old wood cook stoves you could smell the smoke although it was not a big cloud of smoke. Wood stoves in general tend to create a lot of dust, but for me, I’ll dust a little more in exchange for the warm glow and the nice heat from the wood fire. I hope this helps. One thing with our wood stove is that my cooking space is not very large so I am a bit limited. Good luck and if you have other questions please don’t hesitate to ask… Blessings…. Tammy – this was great! I’m so pinning this! I had no idea you could do this! We use a wood stove to heat our house and I’ve used it to heat water but I never actually thought to cook on it. I will definitely be giving this a try! We have a wood stove, and I’ve always wanted to use it for cooking, but worry that it gets so hot by the end of the day, up to 500*F! Will raising on canning rings help enough when backing on the top? We cook other things on our wood stove but I’ve never tried bread. Pinning this so we can give it a try! Hi Annie, Thanks for stopping by and thank you for pinning this. You will enjoy baking on the wood stove. I have made cookies, muffins and breads. I will be posting a cornbread muffin recipe later this week on my blog that I think you will enjoy as well. Thank you for taking time to message me. 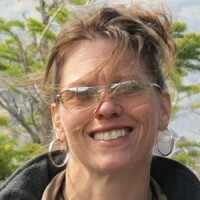 I look forward to getting to know you and chatting some more. Blessings and enjoy…. I’m trying out this recipe right now, and was wondering: how big is the Dutch oven that you use? Judging by the amount of flour currently sitting in my mixing bowl, I think yours is bigger than mine. I’m going to try halving the recipe & just see how it goes… Thanks so much for the recipe! Well, my first attempt was tasty, but not pretty. Burnt on the bottom and kinda soggy on top. Going to try canning lids next time to better regulate the temp. The chicken adobo that I made at the same time in an aluminum covered roaster, on the other hand, came out amazingly! We have a Lopi wood stove which lets you cook on the front level and simmer on the back. I’ve used it for making stock/broth, rendering fat, cooking a hamburger in a skillet, cooking down tomato sauce to can, stews, and pancakes are pretty easy too. The easiest are things that cook/simmer for a long time so they don’t need watched constantly. I am so sorry that it appears that your message had gone unanswered… I could have swore that I responded, but thank you for taking the time to message. I much agree with you in being able to let things just simmer on the woodstove, but your stove sounds like quite the asset. I love being able to make EVERYTHING on my stove and look forward to working on a cook stove in my near future including canning on it…. I have a hearthstone wood stove, so the top and sides are stone. That means it spreads the heat more slowly and evenly. As a consequence, the thermometer on the top of my stove rarely gets above 250 deg, yet my house is plenty warm. Is that hot enough to cook on? I have only tried slow-cooker type recipes and soups, never anything that requires higher temperatures. I get the feeling I’m the only guy posting comments on your site. I read a lot of blogs but always seem to enjoy and learn a lot from your posts. Ever since I saw Jeremiah Johnson, in the theater, when I was a teenager, I’ve always wanted to try making biscuits in a dutch oven. We don’t have a Franklin Stove or insert, just a regular fireplace in the house and a fire pit in the backyard. I have recently looked at prices of cast iron cookware and couldn’t believe how expensive it is ! I will say this, in all my experience in the outdoors and cooking over an open fire, we use a WOK. This works really well and can take the place of a cast iron skillet in most cases. But, you can’t make Jeremiah Johnson biscuits in it. LOL !!!! Or can you ?? Maybe if I had a lid for it. I apologize – I just noticed that it appears that my comment to you did not show. You may be the only fella so far, but I am always grateful to get the views of the male! Yes – Jeremiah Johnson is a classic and to make those biscuits is key.. 🙂 Cast iron can be costly, but I look at it as an investment for sure. It will last lifetimes if well taken care of. Try looking around at the thrift stores, yard sales and antique stores. I found our HUGE kettle for $45.00 which was an absolute steal and my largest skillet cost me a mere $5.00. Although I must say, you are being frugal and repurposing the wok just fine, but yes a lid would probably do the trick and again check out the thrift stores, etc…. Thank you so much for your kind words and taking the time to comment. Best of luck to you with your biscuits. Of late I’ve been actually baking inside my wood heat stove using my Dutch oven. You only need coals banked along the back and side. We regularly turn out bakery quality bread. Hope to do a pictorial on my blog soon. That is awesome. Of course, in doing so you must take great caution when you are removing the dutch oven from your stoves to not allow the hot coals to get loose and start a fire in your home. Honestly, I would not be able to try that because my dutch oven would not fit inside my stove, but I sure get great pleasure using it on top. I’m VERY new to this wood stove cooking and I’m still unsure as to what type of cookware will work. I have no aluminum or teflon, so that’s good (I think!). I have a vintage (from my family!) cast iron skillet, a ceramic over cast iron lidded casserole, two clay bakers (one glazed one not) and your basic Revereware copper bottom pots from the 1950’s. Any idea which of these would work on the top of a wood stove? You are in good shape. I always lean toward my cast iron and my pottery. Your clay bakers should be GREAT along with your cast iron pieces. The breads just seem to turn out so much better in these as does everything in my opinion.. 🙂 Muffins will do fine in an open container, but it will be best for the breads to have a cover to help hold the heat in. Let me know if I can be of further assistance and best of luck to you. This is fabulous! Thanks for the information!! I’ve just been using the top of my woodstove to put jars of water on to help humidify the house, but have never cooked on it. I’m wondering when you refer to using pottery to cook in … would an old crockpot work? Really looking forward to trying. So sorry I just saw your comment. Yes ABSOLUTELY!! The crock pots work really wonderful on the wood stove. I love my pottery pieces and my cast iron best for wood stove cooking because they hold the heat and maybe it is in my head, but I LOVE the way my food tastes when cooked in them. Definitely experiment and have fun utilizing your wood stove it a such a great resource and will provide you with extremely tasty food. My wood stove don’t have an oven so I’ve learned to do things using my imagination. I use my old oven rack to lay on top when cooking foods that can’t have direct heat. That same rack I also use to let it hang over the side of my wood stove weighed down with a stockpot of water so that I can put bread/doughnuts on it to let rise in winter. I use a cookie sheet to act like a flat top grill so I can cook burgers, steaks, etc all at the same time. Pancakes are great with the cookie sheet. Biscuits is an every night treat cooked in a frying pan with a lid. Thrift stores is a treasure when it comes to cast iron/ stainless steel pans. Far cheaper in my opinion. First thing you’ll learn from cooking on a wood stove is patience. The food does cook slower but it is well worth it in the end. Fried chicken on a cookie sheet comes out moist and roast cooked in a roaster comes out so tender. Wouldn’t trade my wood stove for anything in the world. AWESOME comment!! That is it…. Experimenting and finding such amazing finds at the Thrift stores is so much fun!! I have some great pottery, cast iron pieces and stainless cookie sheets and backing dishes myself. I love cooking our elk, deer and last year moose roasts on the wood stove ALL day!! Such tender and amazing meat and the house smells terrific all day…..
Love how you use your cookie sheets on the wood stove. I have a cast iron griddle that I use for pancakes and cookies, but a great way to improvise. Improvising is key in saving money and utilizing what you have!! Kudos to you… You have my taste buds ready for some fried chicken. Thanks for reading my post and sharing your GREAT ideas!! I’ve been trying to figure out if it is possible to make gluten free bread on a stovetop (not necessarily a wood stove, since it’ll be a gas-type stove in the back of our van while traveling this summer. Your recipe gives me hope! One question: This gluten-free flour blend you speak of – does it contain xanthan gum? Or do I need to add that as well? Which GF flour blend have you used? Thank you for sharing your knowledge! I’m super excited to try this in my enameled cast iron dutch oven! Be excited!! It is possible!! I have used MANY flours, both store bought and blended myself. My blends have also been a success, but I really LOVE BetterBatter.org flour for convenience. It is a non-gmo flour blend and you can use it cup for cup just as you would with regular flour which makes it super easy. I make everything I make with regular flours with this flour. It does have a small amount of xanthan gum so you will not need to use any additional. We make bread, crackers, baked goods, doughs etc weekly and have great results. If you are baking breads and using a family recipe or non-gluten free recipe you just need to double the liquid so if it calls for a cup you would add two. If you are making rolls that are formed you would increase by half the liquid so if it called for a cup you would add a cup and a half. I have even made gluten free breads in a Sun Oven… The breads have a different texture, but are very tasty. Please let me know if you have additional questions. You can do this and provide gluten free bread for your family! That’s wonderful to hear! I actually have to make the bread gluten, casein (whey), and grass free (meaning, no millet flour) due to allergies in my family. For that reason, BetterBatter is not workable for me, but I can mix up some GF all-purpose flour blend and add some xanthan gum. I’m super excited to try this out on our regular gas stove to see how it works out. It would surely be wonderful to be able to make bread on our extended road trip this summer. Thank you for responding so quickly. I’ll let you know how it turns out! p.s. That is super cool about the sun oven! Totally understand Nan. We are dairy free and wheat free and I have to watch foods for high levels of histamine so I understand your struggle. I will have to dig, but I have a recipe somewhere for a nice homemade blended flour that worked well also. I just helped educate here at GNOWFGLINS on the Outdoor Cooking Class on cooking with a Sun Oven. It is amazing and I would love to know how you make out… You can also turn a grill into a convection oven by adding stones the size roughly between a baseball and a softball and placing your bread pan on the rocks. This will keep it directly off the heat, allow the heat to flow around the baking pan and provide you with tasty bread! I have made pies, cookies, etc on our grill when we were building our house. I apologize for the delay in getting back with you on my experiment. I had to find a GF/CF bread recipe that my family actually liked to eat first. It’s taken a lot of experimenting, let me tell you! In any case, the one they voted to keep is a very dense bread. I’m a little nervous about trying to bake it on my gas stove as a dry run for our road trip this summer. Would you mind looking at the recipe to see if you think it will work as a boule with your cooking method on top of a stove? In an oven, I bake at 375 degrees for 40 minutes after it’s browned to my liking and covered with foil. I’m planning to use a magnetic thermometer (like we use on the wood stove) on the top of the dutch oven to monitor temperature. Would you put it directly on the stovetop grate (we have a propane gas stove in our kitchen)? Or on top of canning rings (not sure how this would work, but I thought I’d check). Thank you so much for all of your encouragement! I look forward to hearing your thoughts. Also, thank you for the information on baking in a standard grill! That is really cool! When my kids were little, 30+ years ago, I had a cast iron stove with six burners and oven, plus warming trays. I loved it and cooked everything on it. Unfortunately that stove is long gone. I miss cooking on it every day. I live in a mobile home so baking sour dough bread in the summer makes my home very hot, so I bought a small cast iron wood stove to cook with out on my deck. We have baked biscuits and the even a loaf of bread ontop of this small outdoor woodstove. It works pretty well but if you have any suggestions I’m always open to new ideas. When you bake bread in a covered dutch oven on top of a woodstove does the top brown, or is it only the bottom and sides? 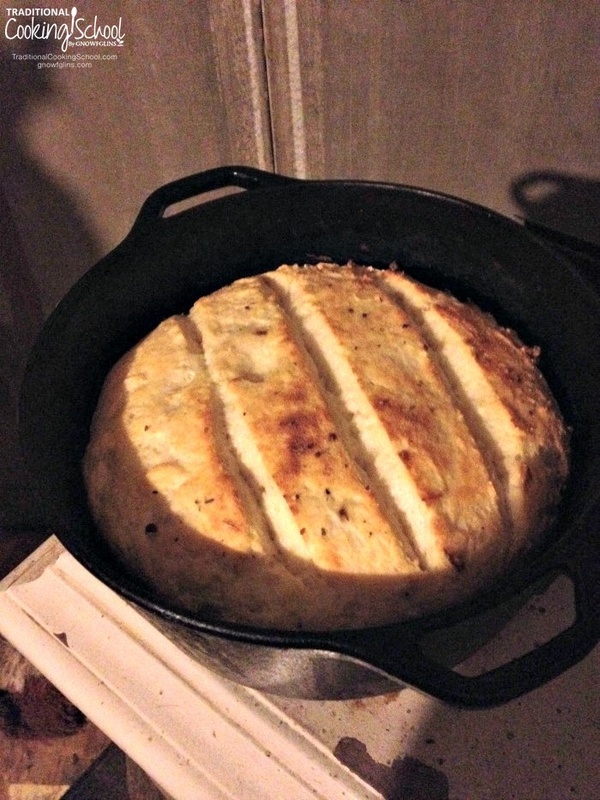 My husband has been dying to try using our wood stove for cooking, especially to make bread, so this recipe and instructions are an amazing find! I do have one question, you said a raised dutch oven? Are you putting the dutch oven on a trivet? I have an overly larger one I intended on using but I don’t want to burn the bottom (of the bread, pots and pans are meant to be used!) Thanks for sharing this great recipe! Perhaps I missed it, but did you say the size of the Dutch oven you used for this recipe? Enamel stove tops are notorious for chipping when cold pots are placed on the hot stove. Any advice for cooking on enameled stoves without destroying the finish? I imagine that putting the pot on when the stove is cold and allowing them to heat up at the same rate might help. A wire trivet might work, too. Feedback appreciated. Thanks.